3. When is the next draw? ​4. What's an Invitation to Apply (ITA)? 5. How to get an Invitation to Apply (ITA)? ​6. Do you need any help? 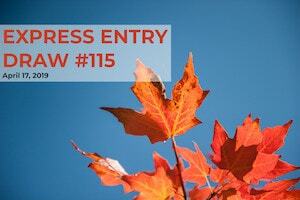 The 115th draw for Express Entry permanent residence candidates happened on April 17, 2019. It has resulted in the Comprehensive Ranking System (CRS) points requirement for receiving an invitation to apply (ITA) to stay the same as compared to the previous draw on April 3rd, 2019. The CRS score of the lowest-ranked invited candidate was 451, with 3,350 ITAs issued in total. As a bunch of candidates have the same 451 score, a tie-break rule is used: only candidates having their profile in the system since April 2, 2019 at 15:01:49 UTC will get an ITA. The graph below shows the number of candidates in the Express Entry pool by CRS bracket, just a few days before the latest draw. These numbers change on the day of draw, thus explaining the discrepancies between the draw results and the numbers in the graph. There is unfortunately no way to tell when the next draw will take place. However, based on the data gathered since the beginning of Express Entry in 2015, there is a clear pattern on when the draws take place: on Wednesdays, every two weeks. But as said before, it is only a pattern, and there have been deviations from it: some draws took place on Mondays or Tuesdays, and sometimes wait time between two draws is one or three weeks, instead of the usual two. If you want to be alerted about when a draw takes place, don't hesitate to follow us on social media and subscribe to our newsletter (links at the bottom of the page). What's an Invitation to Apply (ITA)? An Invitation to Apply (ITA) is sent to the immigration aspirants in the Express Entry pool who are selected by Immigration, Refugees and Citizenship Canada (IRCC). ITAs are issued on a priority basis when a draw is conducted from the Express Entry pool, meaning that only those with the highest CRS score will receive an ITA. Each Express Entry draw has a cutoff minimum score: only those who are assigned a CRS score above or equal to the cutoff score will receive the Invitation to Apply. For those who have a CRS score equal to that of the cutoff score, candidates who have been the longest in the pool will receive the ITA. An ITA is not to be confused with eligibility to the three federal programs of Express Entry, or with a job offer from an employer or with the Provincial Nomination Programs. How to get an Invitation to Apply (ITA)? Additional factors, such as a provincial nomination, a valid job offer, studies in Canada, French language abilities, having a sibling as a permanent resident in Canada or Canadian citizen. The maximum score in the Comprehensive Ranking System is of 1,200 points, but it's impossible and there's no need to get a CRS score of 1,200 points. However, if your CRS score is below the cutoff score, we strongly advise you to check out our article on how to improve your score. Are you a little lost and need some help? Join our private Facebook group, where our admins and members will respond to any question you may have on Canadian immigration. 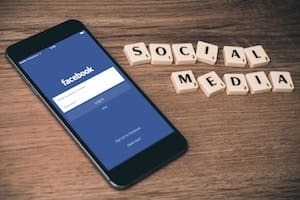 To make sure you are up-to-date on the latest information on latest draws, PNP news and other new guides we publish, follow us on our social media so you will be the first to know! You can find our social media accounts at the bottom of the page, or in the menu section. 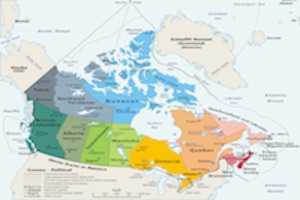 On October 31, 2018, the government of Canada revealed its Immigration Plan for 2019-2021. The plan reiterates the country's investment in increasing immigration targets for the period: approx. 256,000 new permanent residents over three years through the three Express Entry programs (FSW, CEC, and FST), and an additional approx. 200,000 through the Provincial Nominee Program (PNP). You can thus expect an increase in the number of issued ITAs in the next three years, which should be superior to the 2017-2018 levels. 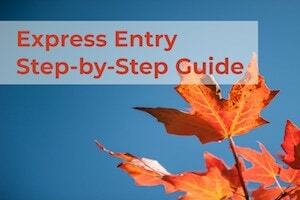 To learn more about Express Entry and the Comprehensive Ranking System (CRS), check out our 10-step guide.